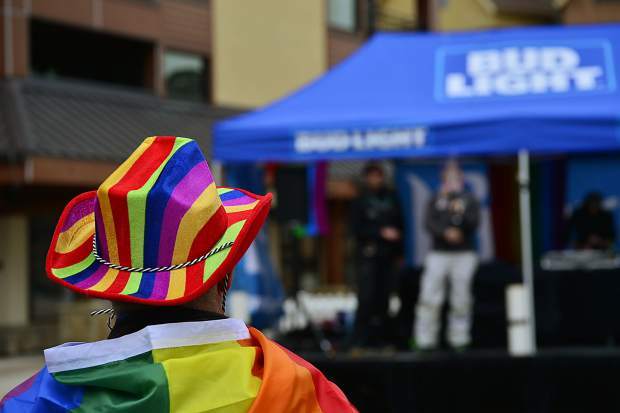 Will Abbott of Denver enjoys the music Saturday during a small festival at The Village Plaza for Breck Pride Week. 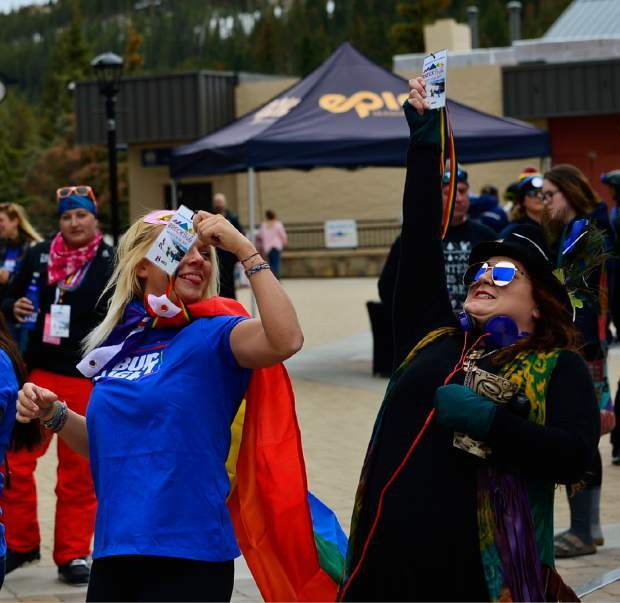 Nikki Nace and Christina Hunt wait to see if their number is called for one of the giveaways Saturday at The Village Plaza in Breckenridge for Breck Pride Week. 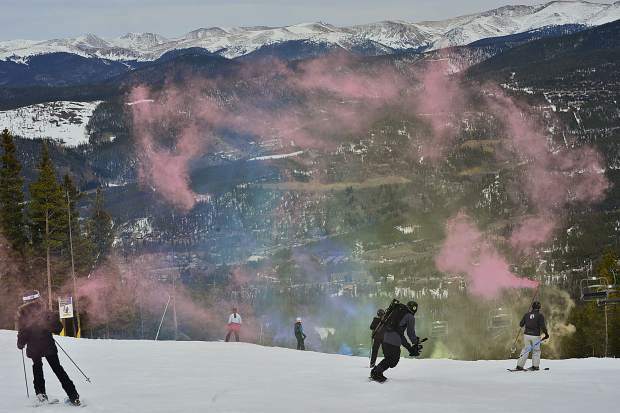 Skiers prepare to head down the mountain during the Color Run Parade on Saturday during the first-ever Breck Pride Week. 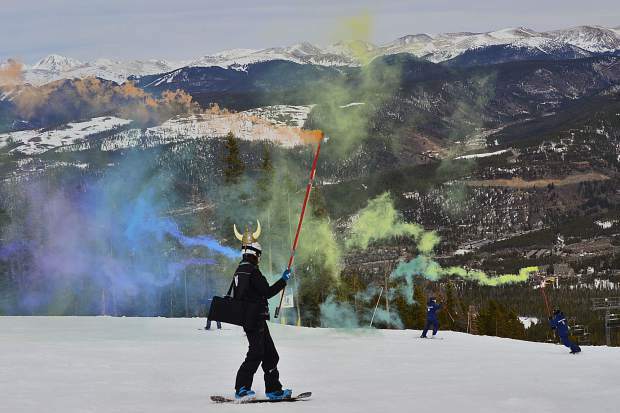 Skiers get ready to head down the mountain at the Color Run Parade on Saturday for the first-ever Breck Pride Week. 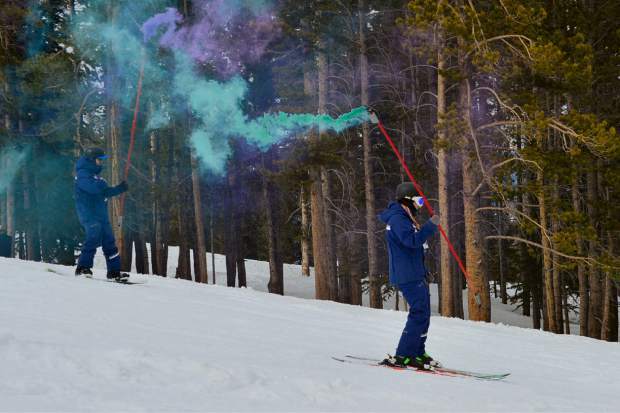 Skiers head down the mountain Saturday during the Color Run Parade, one of a number of events tied into the first-ever Breck Pride Week at Breckenridge. 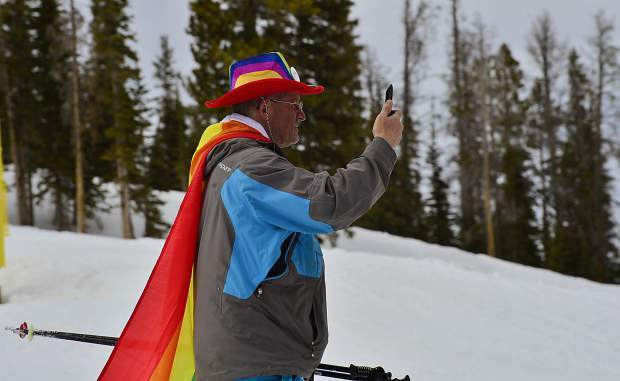 A man listens to the live DJ on Saturday at the first-ever Breck Pride Week at Breckenridge. 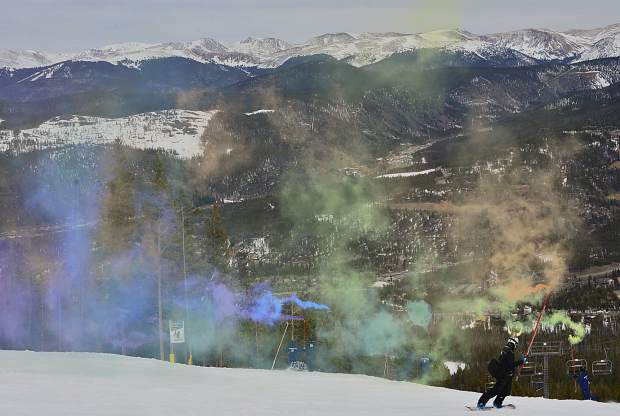 Diego Elliott of Summit County jams out with Will Abbott of Denver in the background Saturday at The Overlook restaurant before the start of the Color Run Parade at Breckenridge Ski Resort. 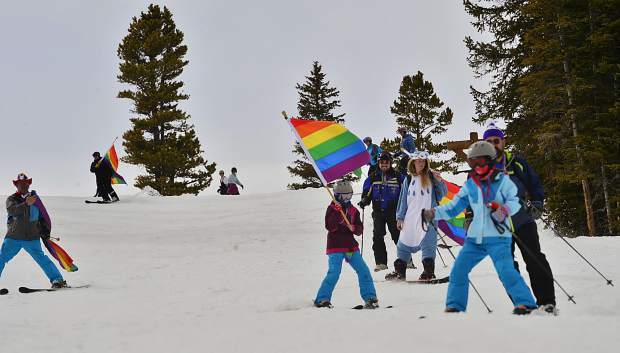 The event was one of a number from Wednesday to today for the first-ever Breck Pride Week. 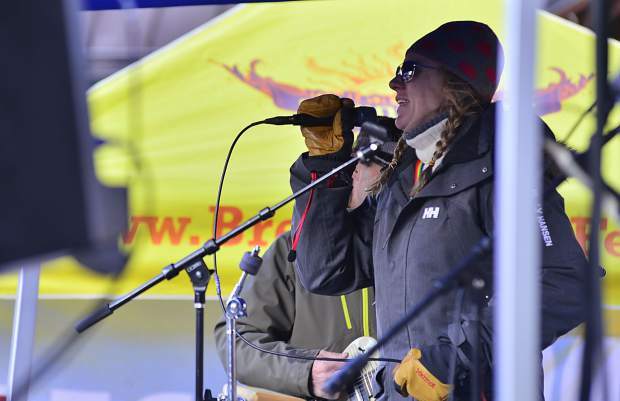 Jodi Messa performs Friday at The Village Plaza in Breckenridge for the first-ever Breck Pride Week. 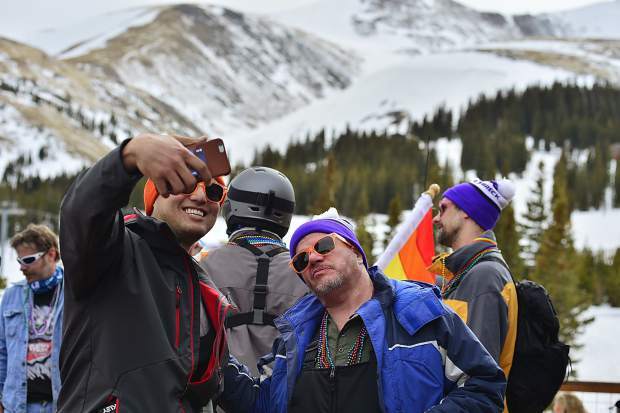 The first gay ski week came about 40 years ago in Aspen, and the Colorado resort town now boasts having the most well-known and biggest event of its kind. 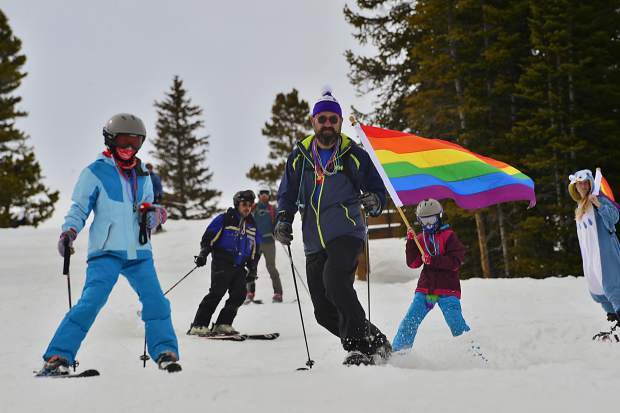 Attended by thousands of LGBT skiers and snowboarders every year in January, Aspen Gay Ski Week has spawned similar celebrations across the U.S. and the world, and Breckenridge joined the growing list of ski resorts to offer LGBT weekends this year with its first-ever Breck Pride Week. 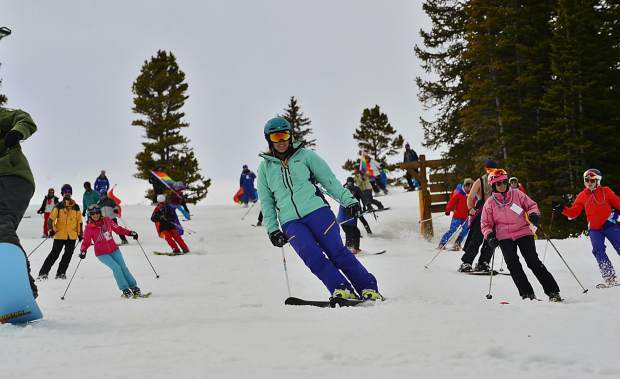 Breck Pride Week began Wednesday with the welcome reception and ends today with an exclusive early morning run down the mountain followed by a farewell brunch. 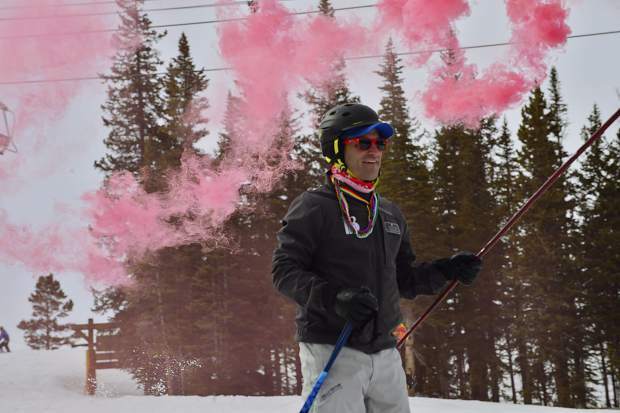 It also featured daily friendship ski runs, a five-course meal with beer pairings on Friday and various parties and get-togethers, complete with a small outdoor music and vendors festival Friday and Saturday in the Village Plaza and a Color Run Parade down the mountain on Saturday. 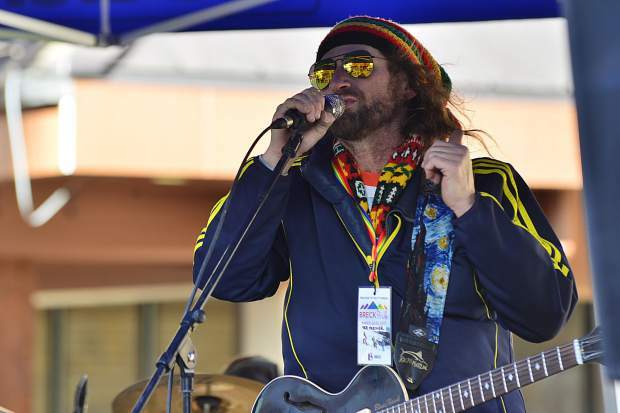 “Oh man, we had a great time,” said Jodi Messa, one of the musicians who performed Friday at the Village Plaza. 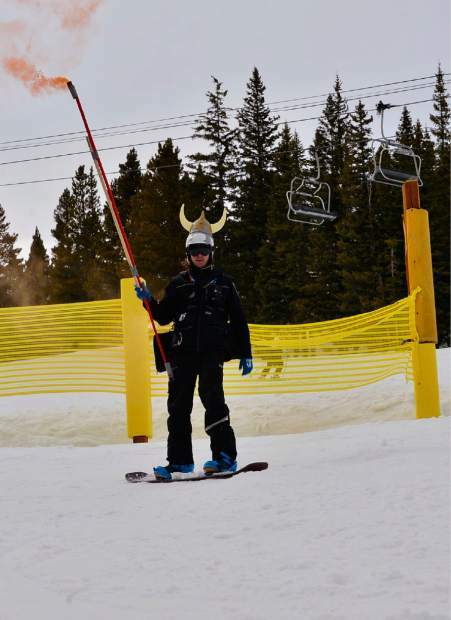 The significance of playing at the first Breck Pride week wasn’t lost on her. 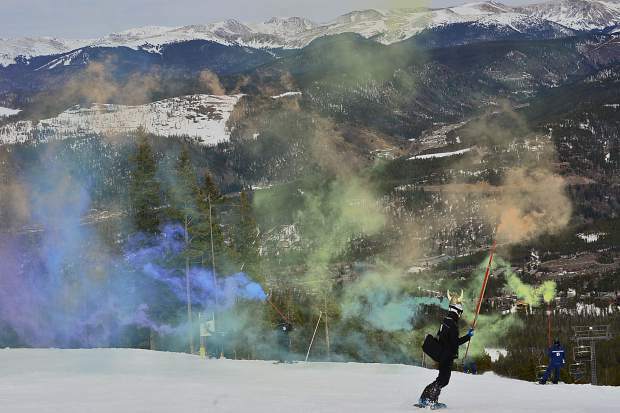 The assortment was billed as a series of events open to everyone but designed to show support for the LGBT community in Breckenridge and Summit County. 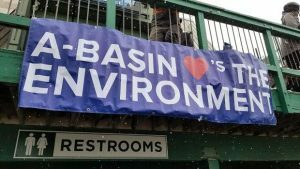 The biggest draw on the lineup was likely famous actress, singer and comedian Bernhard, who was scheduled to perform her new material Saturday night at the Riverwalk Center. 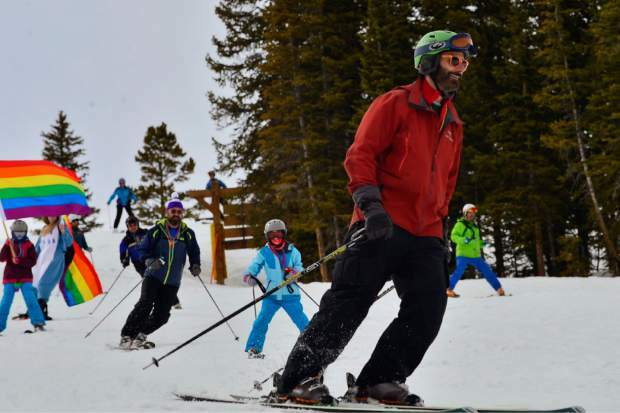 True to its mission, while many of the people who attended the events were certainly members of the LGBT community, there were a number of straight couples and families intermingled in the crowds. 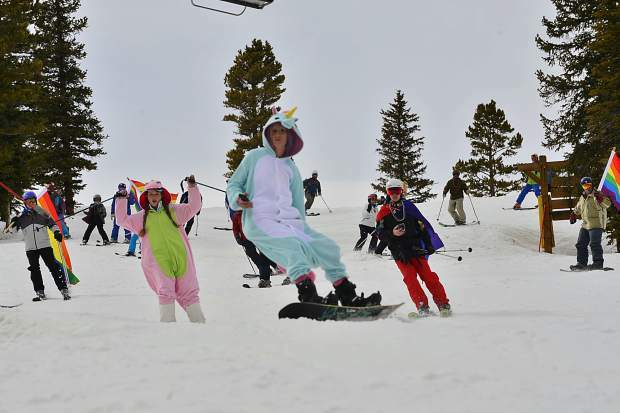 “While we can’t speak to numbers (of people registered), I can tell you Breck has wanted to do a pride event for a while now, but wanted to make sure the event was authentic to the resort and community, supported by locals and local businesses,” wrote Kristen Petitt Stewart, senior communications manager at Breckenridge Ski Resort, in an emailed response to a request for an interview. 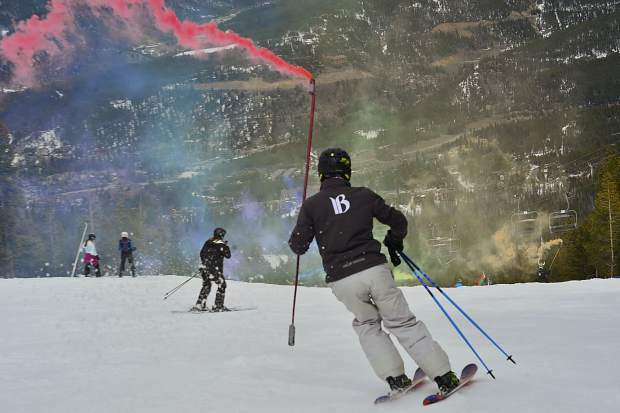 “We believe this lineup of events is a great start with these goals in mind, and hope to grow and continue Breck Pride for seasons to come,” she continued. 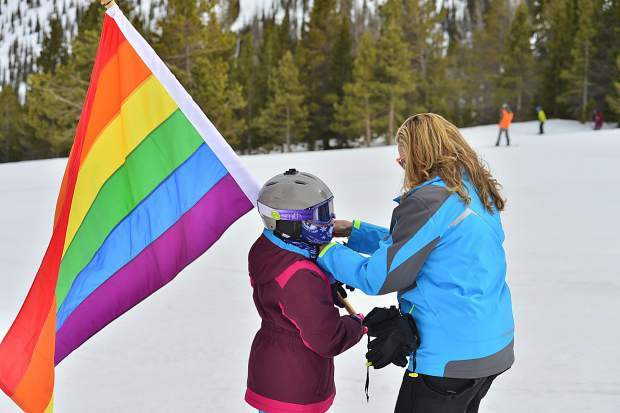 Breckenridge Pride Week came shortly after a similar event in Colorado, the Telluride Gay Ski Week, which ran Feb. 22 to March 1. 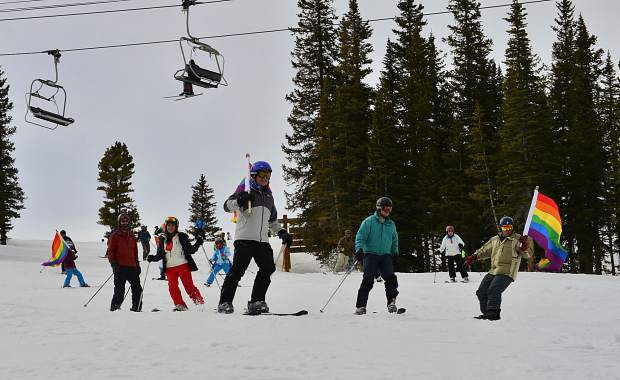 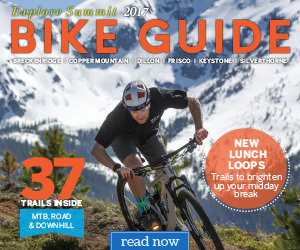 Like other gay ski weeks, the Telluride festival is also quickly growing in size and popularity. 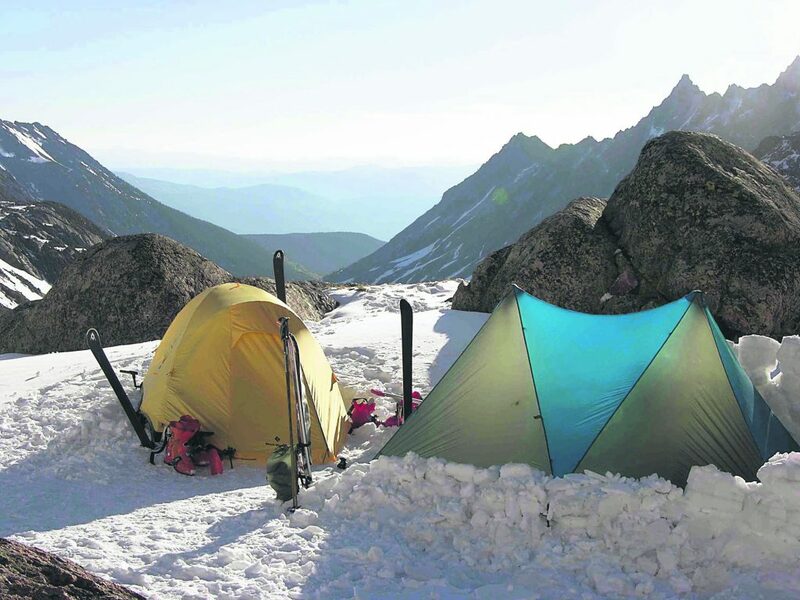 Similar large-scale gay ski weeks are held every year in the French Alps; Vancouver, Canada; and in Park City, Utah, which ranks high among the list in terms of attendance with an estimated 2,500 people or more participants every year at its LGBT ski week. 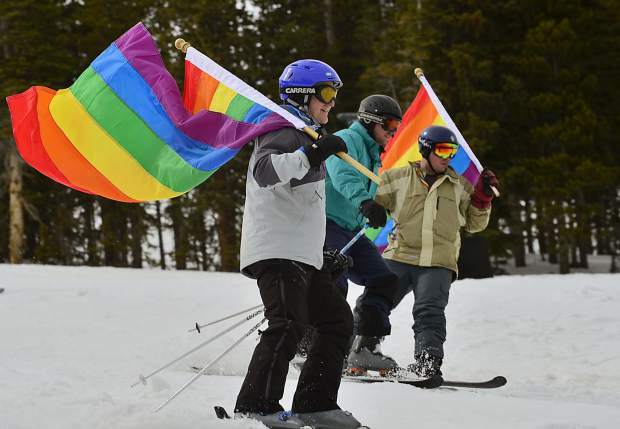 Thirteen years ago, Mammoth Lakes, California, was in the same boat as Breckenridge is now by offering its first-ever gay ski week. 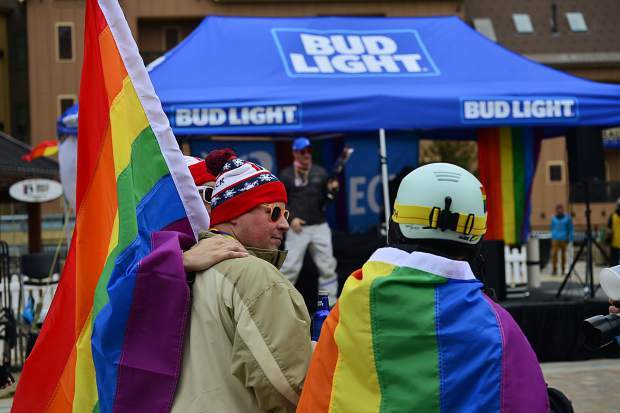 Now Mammoth Lakes’ lineup of skiing, dancing and partying events — seemingly a standard for these weeklong pride celebrations — is described as a runaway success and stands as California’s biggest gay ski gathering with people coming from around the world to attend this event. 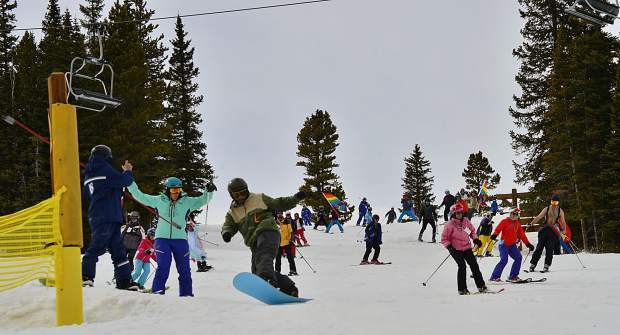 Having one in Breckenridge came as a welcome sight for many, including Greenburg.